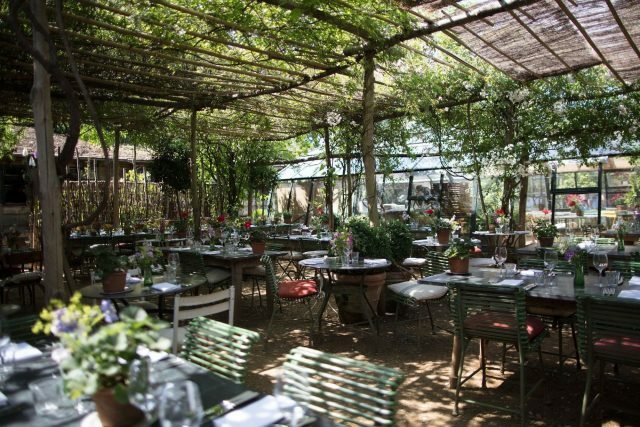 Another restaurant that brings the outside in, Petersham Nurseries in Richmond is a must for green-fingered foodies. Set within a glass house, the café restaurant is brimming with vibrant bougainvillea, draped with Indian blinds and prettified with antique furniture, grand mirrors, old paintings and Murano glassware, all of which serves as a backdrop for its seasonal Italian cuisine. Those who aren’t able to make the trek out to Richmond can enjoy a taste of the original at Petersham Nurseries’ new sister site in Covent Garden, which boasts a more formal restaurant and a casual all-day Italian called La Goccia.